I was pretty pleased with the article, especially because afterwards I heard from people in Bilbao who said that I had captured very well the essence of their approach, process, and program. It was but one of many examples that shaped my thinking about the need for what I am now calling "Transformational Projects Action Plans" and the Transformational Projects Action Planning process, as an essential element of Comprehensive Land Use Plans/Community Master Plans. -- "(Big Hairy) Projects Action Plan(s) as an element of Comprehensive/Master Plans"
but even four months ago, I hadn't scintillated the TPAP phrase and acronym, although admittedly it still doesn't flow off the tongue. Besides the Amazon HQ2 discussion, it also comes up because it is the 20th anniversary of the opening of the Guggenheim Museum in Bilbao, and as discussed in this excellent article, "The Guggenheim Bilbao, 20 Years Later: How a Museum Transformed a City—and Why the ‘Bilbao Effect’ Has Been Impossible to Replicate," from artnet, though many other communities seized on the example, in particular the employment of a "starchitect" and "starchitecture" to create sculptural usually cultural buildings that were supposed to attract hundreds of thousands if not millions of visitors, none have been truly successful. Frank Gehry didn't single-handedly revitalize Bilbao. The Guggenheim Museum was but one element of a wide-ranging program. I realize now is that what I then called "visionary plans" are really "transformational projects action plans." And essential to these plans is flexibility, and the ability to seize on unplanned for opportunities (such as a second Amazon headquarters). Bilbao didn't plan for such a museum, although it did create a framework for the creation of new civic and cultural assets, and wanted to engage leading architects to design architecturally startlingly new buildings. When the opportunity to land the Guggenheim Museum came up, Bilbao was able to seize the opportunity because they already had the necessary process framework in place to be successful at doing so. Similarly, once the Museum opened, they realized they needed better surface transit connections, although they had already constructed a subway as a transportation demand management mechanism due to the physical constraints on transportation imposed by mountains and the River Nervion--the reality was that the distance between subway stations was too great to provide the necessary connections to the Museum and better intra-district transit ("Return to the Rails: The Motivations for Building a Modern Tramway in Bilbao Spain," Matti Siemiatycki). The first link of a tram system for Bilbao opened within a few years, while in DC it took 13 years to open a streetcar line of a similar distance. Other failures to see benefits comparable to that of Bilbao: libraries. Starchitecture has been attributed to the success of new central libraries by Rem Koolhaas in Seattle and Moshe Safdie in Vancouver, but I would argue more fundamental than the design is the program for the library as a multi-faceted community, civic, and cultural asset and the execution of the design on those elements has been the primary reason for sustainable success of these facilities. Similarly, the David Adjaye-designed Idea Store libraries in the Tower Hamlets borough of London are successful because of their program and central locations--the design is secondary. And the David Adjaye designed community libraries in DC are not particularly noteworthy in the way that the Idea Stores are, because what mattered most, like for Bilbao, was the program overall, not the specific architectural or cultural "object." High Line analogues. New York City wasn't the first city to repurpose an elevated rail line for a walking trail, Paris was, with the Promenade Plantée/Coulée Verte ("Paris' Elevated Park Predates NYC's High Line by Nearly 20 Years (and It's Prettier, Too)," TreeHugger). 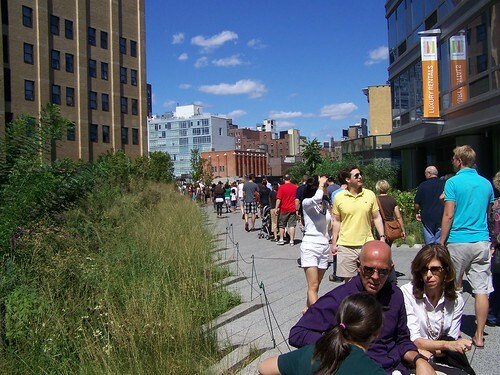 But the High Line in New York City is particularly well-placed, in an area that had all the hallmarks of success, but needed a branding and positioning device, as well as a civic facility to rally around (comparable to how Bryant Park was revitalized and contributed to improvements across Central Manhattan, see "Splendor in the Grass," New York Times, 2005). Other communities including DC (11th Street Bridge Park) and Chicago (606) are doing similar projects, although an attempt to create a similar Garden Bridge in London has fallen apart. There is no reason for other projects to not be successful, but it needs to be understood why the Promenade Plantée, the High Line and the 606 Trail are successful--they are already entwined and integrated within communities that are either already successful or capable of being so, which is why a Scarborough High Line in suburban Toronto may not succeed ("SRT could become 'high line' park," Toronto Star). The proposed Rail Deck Park in Toronto is a different animal, but exorbitant is a word that under-describes the financial requirements ("Much enthusiasm for Rail Deck Park plan that is short on details," Toronto Star). 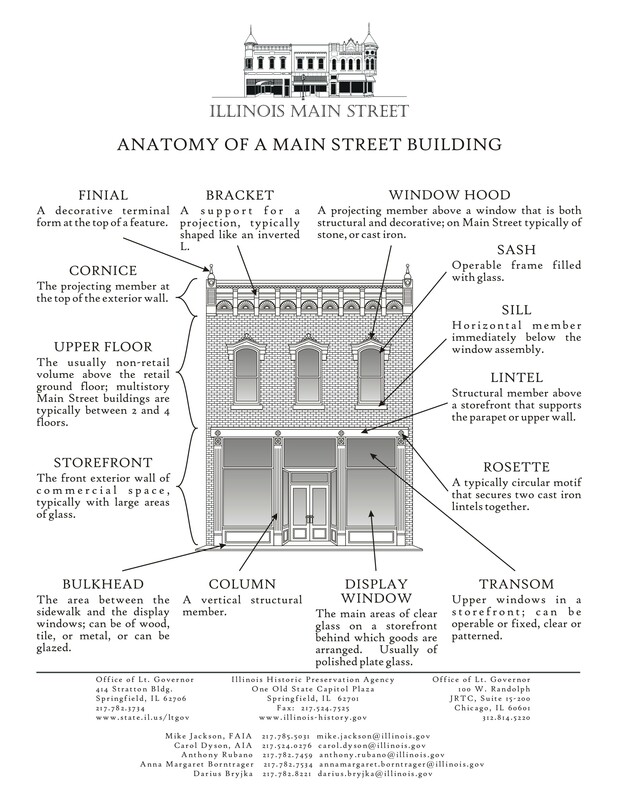 "The arts," public art, murals, etc. Public art too isn't necessarily an independent transformational force, although as part of a program it can bring communities together and draw visitors. The difference is between a single project versus a program. The way buildings are turned into murals in the Wynwood district of Miami is an example of the latter (Wynwood Walls - Urban Graffiti Art Miami). See "Arts, culture districts, and revitalization," especially the discussion of the writings of John Montgomery and this article, "How the Arts Drove Pittsburgh's Revitalization," from The Atlantic on the Pittsburgh Cultural Trust. Conclusion. (1) It's all about the program; (2) a set of transformational projects; (3) the capacity and capability for implementation; (4) financing; and (5) a willingness to experiment and be flexible. as you said a few days ago - best practices (very useful!) can degenerate into just copying a few ideas, without and understanding of the deeper process. Thinking about possibilities is stronger. Back to Spain for a second -- another element of autonomy is that in the Basque county there is a lot of push for a strong province/weak state model. Again the politics are somewhat obscure but Bilbao has benefited from that. NYC Marathon as an example of serendipity, creativity, flexibility. Another line I have is that certain cities (Pittsburgh especially, Baltimore with some things, like arts districts) have to have "a desperate willingness to experiment because they have no other choice." Thank you for your kind words. And your great work! wrt province/weak state, I can't speak for Charlie, but I think he wasn't referring to the Basque Country as "the state" so much as the national government, Spain. I know that Basque Country is a country within a country, in a way that is hard for people from the US to understand. And we were talking about this in the context of Catalonia, because I do not understand why they haven't tried (and I would never able to get up to speed on intra-Spanish politics) to get a comparable relationship to the national government as possessed by the Basque Country. Thanks for your articles about Bilbao. Yes, I understood perfectly. I have set the example of J. Adams, so that we see that the Basques have maintained our structures of government throughout the centuries. No It is a current "trend". We maintain a defense reaction to two states, Spanish and French, that have decided to "decide for us". In relation to Catalonia. They are a nation that wants to decide its future. They are more nation than many that were formed in America. Because apart from the will to be, they have a long history that explains their existence as a political, social and cultural community for more than 1,000 years. They also tried to improve their self-government, with loyalty and following the "constitutional" paths. They only found "deafness", arrogance and deceit on the other side. Hmm. A lot to think about. More mundanely, I was thinking about Canada as an example of a strong province relatively weak state (national government) model. But what you're talking about, long term state based on ethno, cultural and other factors, is outside of the experience of North America, except for the Native Americans vis a vis the relationship with the US national government. Like the Spanish national government and Catalonia, it's a record that no US citizen should be proud of. Obviously, the Kurd situation is comparable. And there are others. Certainly, it is not the same for most Americans. In the USA, the Nation and the State are created in a parallel way. But no American is surprised that France is the land of the French, Italian of the Italians, or Germany of the Germans. The reality of things is accepted as the only possible. But European realities are much more complex. When the USA was formed, there was neither Germany nor Italy. The Turks dominated all the Balkans, including Greece, .... But the Germans or the Greeks existed. Not to exist, there was not a France as we know it now. I want to say that the historical realities of a continent with age-old cultures, active and capable of transforming realities, can not be avoided. the borders change and almost always abruptly. The USA, and Mexico, knew this well after the war of 1846-1848. The culture of the USA was formed as the nation was created, with the contribution of many cultures of European nations. Many of these cultures are still alive in Europe. Catalonia in 2017 is not very different from Ireland in 1921. With the great difference that in the Catalan case there is no armed resistance, nor is violence used to claim independence. No apologies are required for your English! Thank you for continuing to participate in this discussion. ... in college (decades ago) I was really proud of an analysis I did of the Iranian revolution, making the point that under the Shah most traditional institutions were changed, excepting religion, so it was logical that opposition coalesced around religion. Certainly, the authoritarian regime of Franco helped to solidify and coalesce what we Americans would think of as a "sub-states" only because we are not conversant with a more fluid system of smaller states. Of course the Basque Country and Catalonia would be foremost. I hate to admit I am not as knowledgeable as I should be about European history. Obviously, yes, the modern states of Italy and Germany are nothing like these "countries" were 100 years ago. Similarly, the Hapsburgs/Austro-Hungarian Empire etc. Or the fluidity between France and England over centuries, or Corsica being Italian but part of France. I need to do more reading! Thinking about this further, we don't really learn in the US about how Hawai'i became part of the US through a kind of a seizure of an independent island nation. Spanish province not really a county, larger but a subunit of the autonomous community. Certain provinces are not states. That is why the "Basque provinces" in the peninsular are called "historical territories" and in the case of Navarre, "Comunidad Foral". Because its origin is much earlier than the provincial division that was made in the Kingdom of Spain in the nineteenth century. Bizkaia, Araba and Gipuzkoa, have their own parliaments called "Juntas Generales", which have 1000 years of history that make decisions on numerous aspects, such as roads. Then, the autonomous community has a common parliament that makes decisions in general aspects, like police, health, or education. These "provinces" are so "state" that they are in charge of collecting ALL taxes. In the Spanish Basque Country the Government of Spain does not collect taxes, the "finance ministries" of Araba, Bizkaia, Gipuzkoa and Navarre do. And its parliaments, the four, have full normative capacity in many tributes. The national feeling in the Basque Country and Catalonia was born long before the existence of the Franco regime. They are actually born within the "spring" of the national feeling that invades Europe in the nineteenth century. Both national movements are based on cultural, social, historical, political and in the Basque case, ethnic (a very habitual element in the nationalisms of the time and very far from the idea of racism or supremacismo that occurred in other places). But as I said, these are the inevitable consequences of having so much history. Again, thank you for continuing to contribute to this thread. It is very complicated. It makes me somewhat embarrassed about my lack of deeper knowledge on European history, and makes me regret never truly breaking down and learning Spanish deeply (I thought for a time of trying to go to business school in Spain, but never followed through). Separately, this a.m. I was finally reading the Wednesday New York Times, which had an article on votes for more regional autonomy in two areas of Italy, including Lombardy. an article about the topic, that's pretty good, but misses key points. GMB interested in creating a satellite of its own. Given what's written here, would it have the same effect. However, cf. Cablefactory and Suvilahti in Helsinki. Cablefactory was the original and Suvilahti is an attempt to do the same thing in a different location. But they're in the same city, etc. 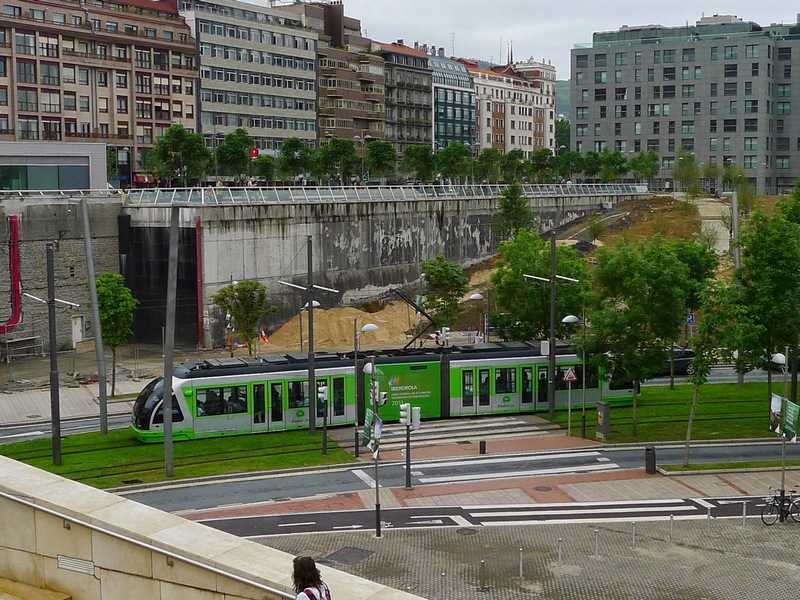 In my initial writings on Bilbao, something I missed that is significant, but fit in with the overall points, is the distinct element of the overall revitalization master plan of the creation of a planning initiative and master plan for the redevelopment of the waterfront around the Guggenheim Museum and the tram, which incorporated a lot of green elements because the master planner was landscape architect Diane Balmori. Interesting story in the NYT Sports section about the Athletica Bilbao soccer team, and its current dilemma of maybe being downgraded to the second division. "Spanish Club Puts Loyalty First, Risking Relegation<' 1/9/2019. The team only has players from the Basque Region, either born there or developed there during their teens. It's quite an identity-branding positioning. It means that they can lose players but it's hard for them to get experienced players.